Trust is in short supply on the internet, and it’s often not hard to see why. From Ebay scammers and banking phishers to Nigerian woe-spinners and .RU download sites, the internet catches out the unwary. If there’s one thing that bit-tech and Custom PC have in common though, it’s the fact that readers trust us, and we work hard to make sure we deserve that trust. 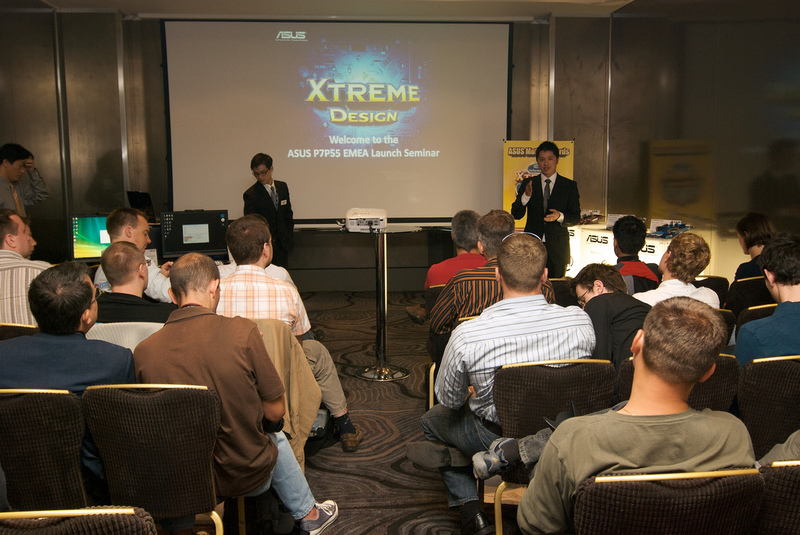 The chance to come to London, meet some of the top engineers in Asus’ motherboard design teams, and spend the afternoon overclocking Lynnfield CPUs and P55 motherboards before they’d launched. 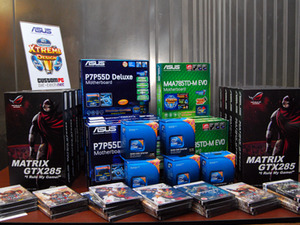 Even better, the 20 lucky winners were then able to walk away with the hardware – including Lynnfield Core i5 and Core i7 CPUs. Some entrants clearly didn’t believe us when we got in touch saying they’d won – if you can believe it, several people we PM’d to say ‘congratulations’ to never got back to us! Still, we had plenty of people on the reserve list who were glad to take their place and free kit. 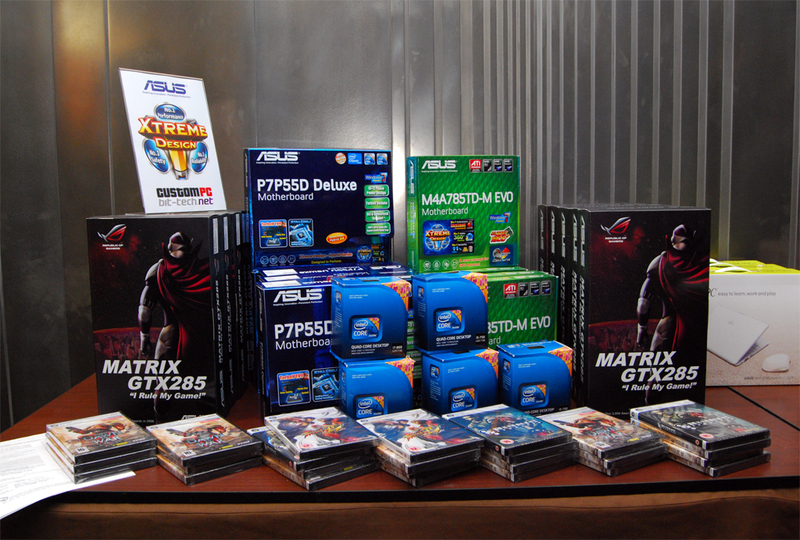 Over the month prior to the event, we gave away five tickets a week via posts on the bit-tech blog. 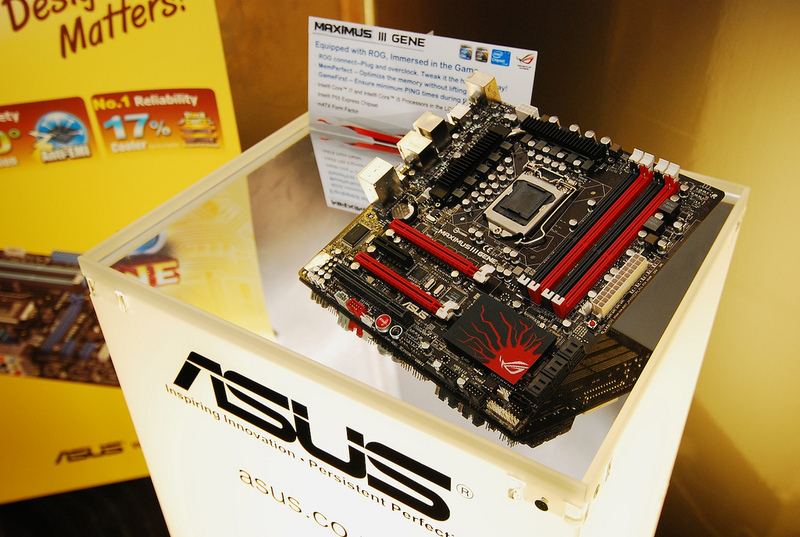 Asus wanted to talk about the efforts that it put into designing its motherboards, and to find out what enthusiasts really thought, so the discussions and questions were based around design and overclocking ideas. 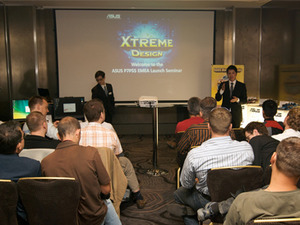 Once we’d picked the winners, they headed down to London to a posh hotel in the West End (even we were surprised how swish it was, so kudos to the event planning team at Dennis for swinging that one), to meet up with the bit-tech and Custom PC team and a selection of Asus’ top engineers, flown in from Taipei for the event. 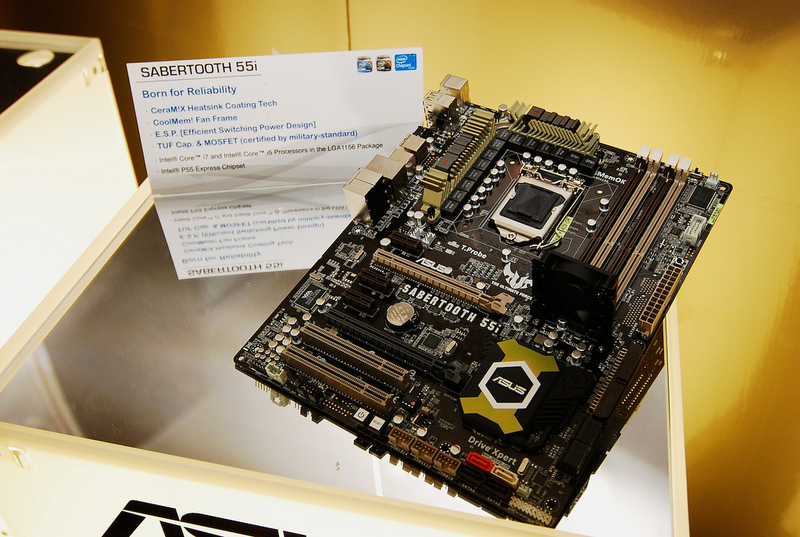 Asus brought a selection of new P55 motherboards to show off, including the P7P55D Deluxe, the Maximus III Gene and a new one to us, the Sabertooth 55i. 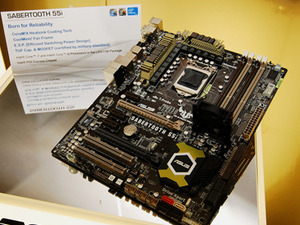 After everyone arrived and had lunch (including, naturally, cheesecake), the Asus design team talked through some of their new ideas for the P55 boards, including RoG connect, which allows you to overclock your main PC from a laptop hooked up via USB. The readers then had the chance to ask questions, and many of the issues raised in the excellent comment threads on the blog about improving motherboard design were up for discussion. 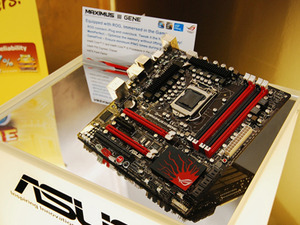 Right angled 24-pin power connectors, BIOSes that could share overclocking settings over the web and lots more were debated. When the Q&A finished, the Asus engineers took some time to explain how to overclock Lynnfield and to share some tips – kudos to the forward-thinking readers who snapped some photos of the engineers’ slides in order to be able to use their settings later in the day!